New Jersey lawmakers are again considering increasing the state’s high corporate tax rate after Senate President Stephen Sweeney (D) first raised the idea in March. The proposal would create a temporary “surcharge” in the corporate tax, increasing the rate from 9 percent to 12 percent for businesses with income above $1 million. 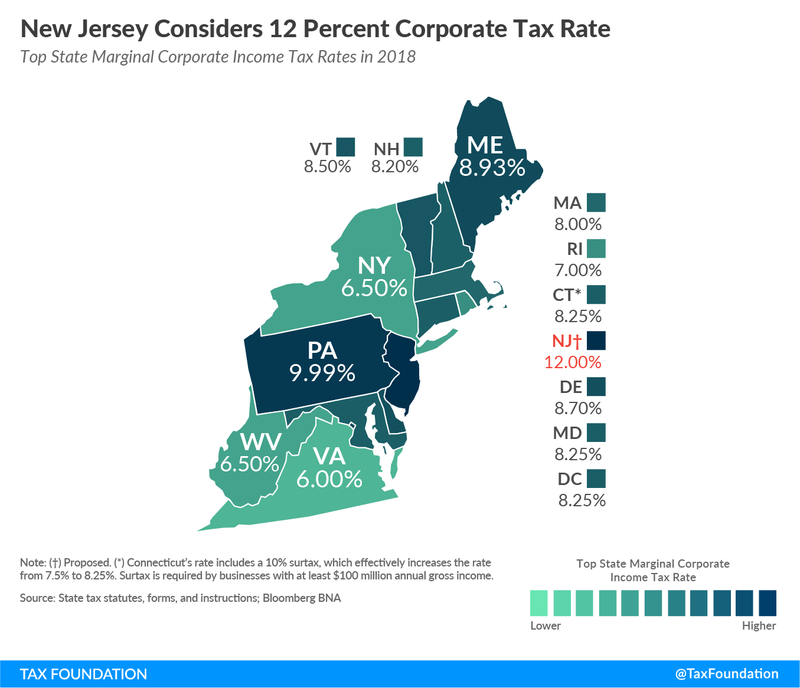 That would tie New Jersey with Iowa for the highest corporate tax rate in the country (though Iowa’s corporate rate will be reduced starting in 2021). New Jersey ranks last overall in our State Business Tax Climate Index, and while the state’s corporate tax is currently less than neighboring Pennsylvania’s, the increase would place it above both Pennsylvania’s 9.99 percent and neighboring New York’s 6.5 percent rates. 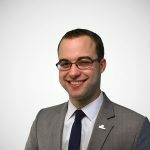 Corporate capital is highly mobile; that is, if you tax it too much, it tends to move (and then you can’t get any revenue out of it…[some states] are already using state revenue windfalls created by federal tax reform as an opportunity to lower corporate and individual income tax rates. Under the tax plan of Governor Phil Murphy (D), taxpayers may face higher taxes as well. Proposed tax hikes include increasing the sales tax from 6.625 percent to 7 percent and raising taxes on income above $1 million from 8.97 percent to 10.75 percent. As New Jersey lawmakers spar over the upcoming budget deadline and weigh various revenue-raising options, they should consider the long-term effects a corporate tax hike would have on the state’s business climate and revenue over a short-term revenue increase.